It was three weeks into my new job when I began to feel sluggish, foggy, depressed, and anxious. I couldn’t focus on any of my work, and my brain seemed to let every bit of information flow in one ear and out the other. My eyes fell heavy in the middle of the day, and I nearly fell asleep at my desk on multiple occasions… it was all adding up to be a horrible first impression. Was I just depressed? Did I need to go back on meds? All of my symptoms added up to how I felt when I was first diagnosed with hypothyroidism. I figured I’d just go see an endocrinologist, get synthetic thyroid hormones, and be better in a few weeks, just as before. I thought back to my past experience with doctors. Remembering that my hypothyroidism could have been diagnosed nearly seven years before it was, I decided to try something a bit different. After scouring the internet for natural solutions, I found a few herbal medications that could be prescribed by a naturopathic doctor. I decided to give naturopathy a shot. Luckily, most of my experience with MDs has been only average–nothing too extreme, no overtly unpleasant experiences. The process just seemed bafflingly slow in some places, then breezed over in others. I haven’t had to be on many medications in the past, but doctors I’ve seen (both MDs and Psychiatrists) have jumped at putting me on antidepressants that had major risks attached to them. It felt uncomfortable, confusing, and downright scary to have a diagnosis after seeing a complete stranger for only a few moments. Note: I am all for being on antidepressants/anti-anxiety medication if you need it! The things I had tried just didn’t work for me, for other medical reasons. It just seems a bit careless to prescribe and diagnose so quickly, with the risks attached to many pharmaceuticals being so high. 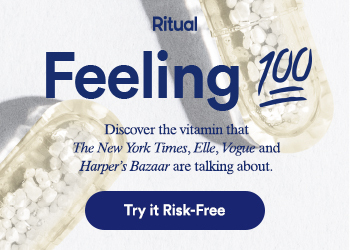 My doctor is located in the historical district of a small town in Connecticut, in a barn renovated into an office space–very apothecary-feeling, so me. I walked in through the big barn door into a dim-but-comfortably-lit office, where bottles of tinctures and herbal medicines lined the walls. This place screams wellness, and I was hooked. A gentleman at the front desk greeted me, introducing himself as Dr. Smith (name omitted–feel free to reach out to me if you’d like his information) He brought me into his office within 10 minutes of my arrival, and began asking me about my symptoms. Sounds like a normal doctor’s visit, right? I told him I was lethargic, that I was falling asleep at my desk and even at the wheel, my short-term memory was failing me, and I was severely depressed and anxious. I figured this would be enough for a diagnosis because, in the past, it seemed to be more than enough for my general practitioner. Instead, we spoke for an entire hour about my symptoms in full detail, including what I’d been eating, how much I’d been sleeping, what my hobbies were… it was like a full profile on my life, and the most in-depth conversation about my health that I’ve ever had with a professional. Appointments with past doctors lasted roughly 10-15 minutes, and I walked out with a diagnosis and prescription slip. Dr. Smith not only did not diagnose me, but he assured me that trying the supplements he prescribed me was virtually risk-free; the only risk being that they wouldn’t improve my symptoms. The supplements he chose were actually for remedying adrenal fatigue–something I had never heard of. He educated me on what the adrenal gland actually does, and how the supplements he recommends would help. He encouraged me to ask questions, and even said that I didn’t have to try everything at once, or even take anything with me at all that day. “That’s the first time a doctor has ever given me an actual option!” I laughed with him. After the 90-minute consultation, I felt confident, informed, and relieved that I had found a potential natural solution to my problem. I am back to my old self, plus feeling better than I have in years! Adrenal fatigue was the root cause of my tiredness and anxiety, as well as very low levels of B12. Being able to function without caffeine has been such a relief, my short-term memory is back up to speed, and I haven’t had an anxiety attack in over 6 weeks. I still have good days and bad days, like any normal person, but they are no longer due to chemical/hormonal imbalance. Supplements aren’t the be-all-end-all of healing these problems, though. I am seeing a Cognitive Behavioral Therapist as well, am eating healthier (generally) and exercising more. All of these things collectively make me function well–the supplements were just the push my body needed to get motivated once again. I’ve been seeing Dr. Smith for touch base appointments once a month. It’s always a positive experience, especially because I get to nerd out with him on holistic remedies! I am so grateful to my doctor for taking the time to take care of the root cause, and not just the symptoms. I am not suggesting that a naturopathic doctor necessarily replaces your general practitioner, but if you’re looking to solve health problems naturally, consider seeing a ND. Note that there are distinct differences between naturopaths and naturopathic doctors, and educate yourself. Do some research, look up reviews, and treat yourself to a holistic experience. Have you had any experience with natural remedies? I’d love to hear what’s worked for you!